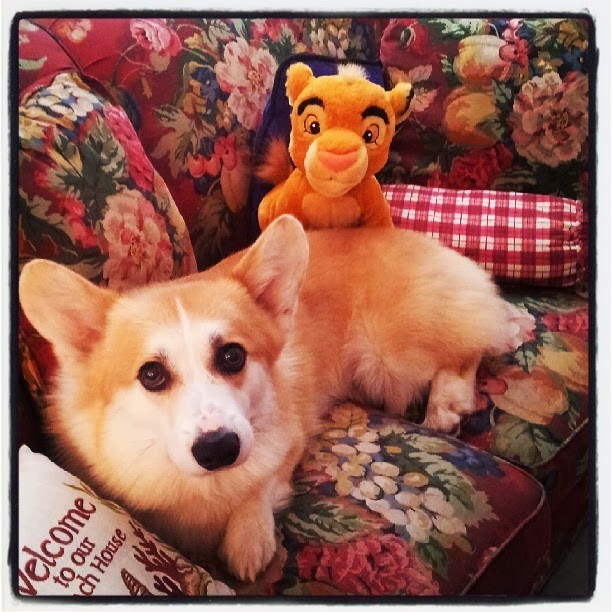 Hello to all of my Corgi loving friends! I can't believe we are halfway through October already. Where does the time go? The holidays will be here before we know it. I love painting anything Christmas! 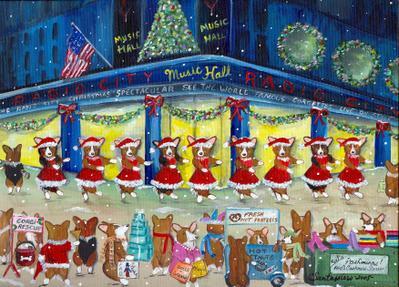 Depending on when you read this note, be sure to check out my latest Original painting listed on Ebay...A Christmas Corgi Spectacular! 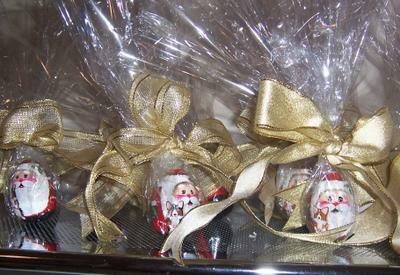 Type Santarsiero in your http://www.ebay.com/ search to see! If you miss it, you can always see it along with other paintings (all sold, but fun to look at!) 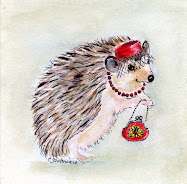 by going to http://www.ebsqart.com/ and type Cathy Santarsiero in the Artist Search. 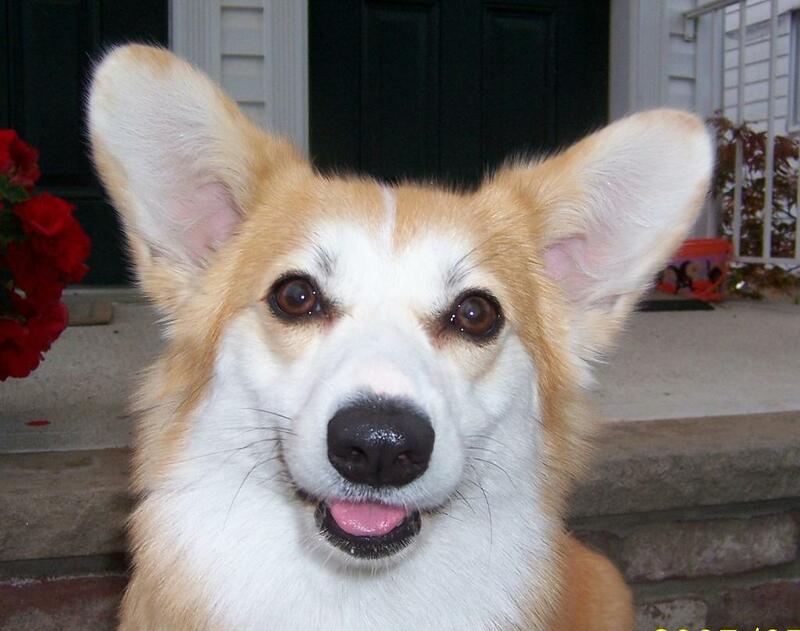 From there you can always find my portfolio and have fun browsing through my Corgi gallery. It is guaranteed to bring a smile! And here they all are, painted and wrapped to be mailed. 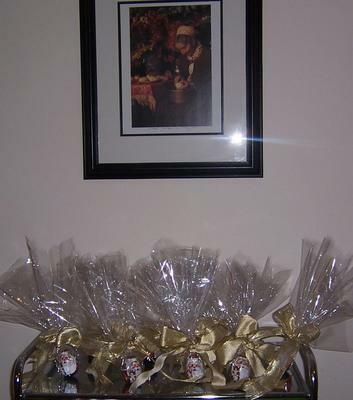 They are in my kitchen beneath a beloved photograph of Tasha Tudor peeling potatoes! The inscription beneath the photo reads, "To Cathy, Take Joy! Tasha Tudor" She is my inspiration. 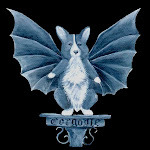 I remember first wanting a Corgi because of her illustrations. I hope some day a little boy or girl somewhere sees one of my artworks and becomes intrigued by this delightful breed in the same way! I do a lot of painting in my kitchen. In fact, most of my friends tend to be 'kitchen people'....it doesn't matter what I may have set up where, we always end up in the kitchen! These were really fun to do. 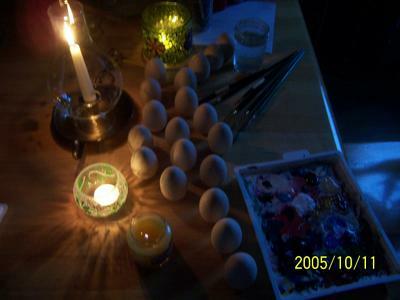 I've been painting these Santa eggs for years and years. Every year they are a little bit different. I had requests for not only red & whites and tris, but also fluffs and Cardigans. It was fun painting Corgis with tails! We took some of our menagerie to the Blessing of the Animals. 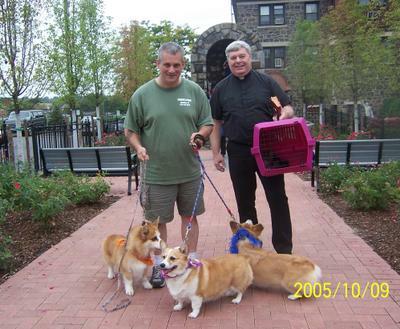 Here's a picture of my husband John with Corgis Indy, Bailey and Bridget. Fr. Rich is holding our Chinchilla, Patrick! Here's a close up of Patrick. My husband rescued him. He has part of an ear missing, we don't know why (from his past life!) 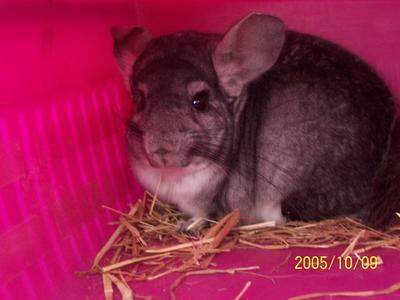 All I can tell you is that I sent my husband out for dog food and he came home with a Chinchilla. And he tells ME no more animals. Yeah, right. tongue was working overtime! What we are trying to figure out now is after her blessing has she become holy or is she officially a holy terror? On a fun Halloween note: Halloween treat bags for the kids are available for purchase on my CafePress site. www.cafepress.com/christmascorgi Right now there is a bag with the "Hairy Pawter" wizard Corgi on one side and the sweet "Trick or Treat" Corgi in a pumpkin costume on the other. If you would like a Trick or Treat bag with 2 different designs, perhaps a Corgoyle and a 'FrankenCorgi' or Sleepy Hollow or any other of my whimsical designs, just send me an email and I'll try and set it up for you! My dear friend, Mary Elizabeth Simpson and I have decided to officially combine our 'kennel names.' 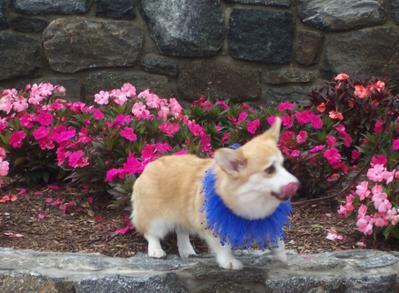 Windcrest and Nadolig Corgis will now be Reinwood Pembroke Welsh Corgis. 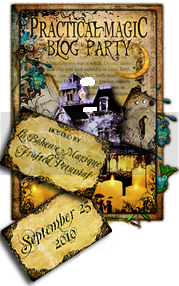 (The 'Rein' comes from the reins of a faerie saddle) We are working on (finally!) 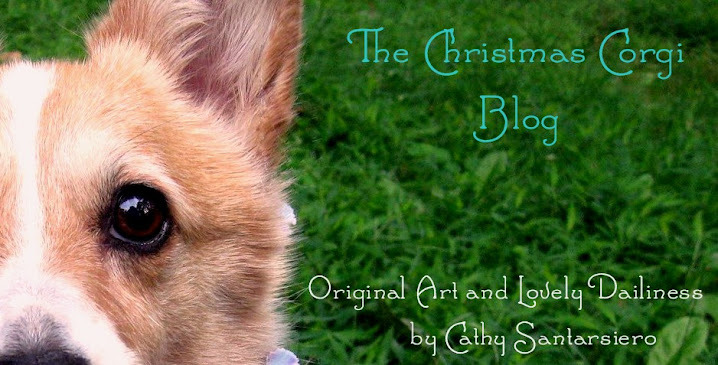 getting a new website together which will contain pages for my Original artwork and a Blog, our beloved Corgis and lots of conformation, agility, obedience, Mary's Joyful Canine Training information and lots more fun and interesting information! That's all for now. As always, whether you are new to my artwork or an old friend, please know that I always appreciate your interest. It means so much to me. From the bottom of my heart, Thank You! This is our little banana Bridget, (B.I.S.S. CH. Heronsway Two For The Show) owned by me, Cathy Santarsiero and my dear friend Mary Elizabeth Simpson. Bridget is one of the Corgis who keep me company while painting.